Nearing her seventies this woman gives younger fashion bloggers a run for their money. 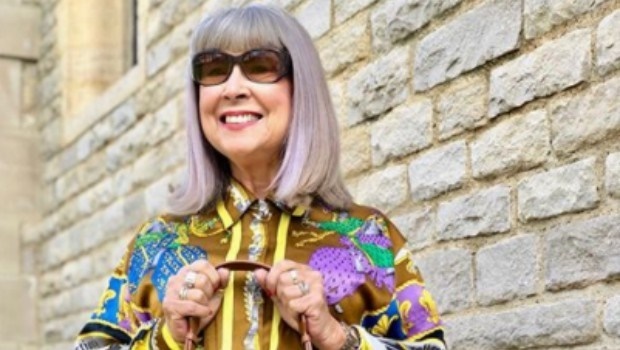 Instead of enjoying her retirement by the seaside, Suzi Grant, from Brighton in England, decided to spend her free time showing off her rather fabulous outfits and ageing ideas on Instagram. The 68-year-old, who’s a former reporter and TV presenter, told The Mirror that she started her social media page in 2013 and hasn’t looked back since. Suzi, who boasts more than 13 000 followers on Instagram, shares her daily adventures using the hashtags #agelessbuzz, #greyhairdontcare and #embraceage. According to the Daily Mail, Suzi wasn’t always into fashion and healthy eating. Her turning point came 25 years ago when her mother died of a heart attack aged just 62. “Mum was overweight, verging on alcoholism and took no exercise, but it was still a massive wake-up call for me. “As a woman in my forties I was increasingly aware of every wrinkle, and the hours and lifestyle weren’t doing me any favours, so I decided to prioritise my health and try a different tack,” she says. Then and there the former journalist gave up drinking and smoking and spent the following three years studying to become a qualified nutritionist. Back in 2003, she published her first blog and wrote two more before deciding to start a blog called Alternative Ageing. Suzi’s inspiring blog encourages people more than 50 years old to embrace their age and to live a happier and healthier life, reports Independent. “I started the blog after being inspired by the Advanced Style documentary, a film by the now famous Ari Seth Cohen, who goes out and about taking photographs of fabulous women in New York City and internationally,” Suzi says. While constantly thinking of new content for her blog can be exhausting, the pensioner says she hasn’t felt this young in ages. “My mind’s significantly sharper now than it was five years ago, and by walking the talk of the advice I give out, I feel healthier now than I have for decades,” Suzi says.